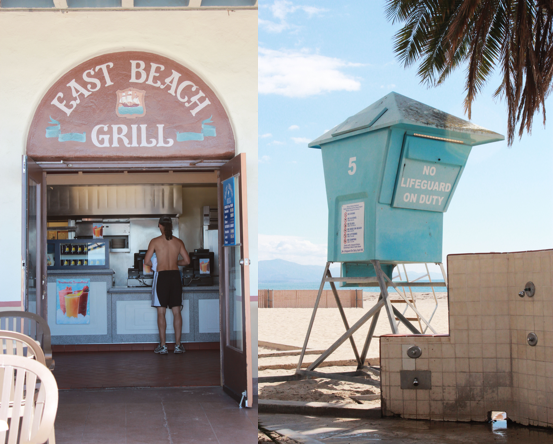 The Resident Tourist: East Beach Grill . . . Always when I come back to SB I try to detach as much as possible and leave my NY tendencies back East, embracing all that is the "California Lifestyle." Driving with the top down, flip-flops in October, afternoons by the pool, breakfast on the beach. And for me, the epitome of beach side breakfast is late morning pancakes at East Beach Grill. 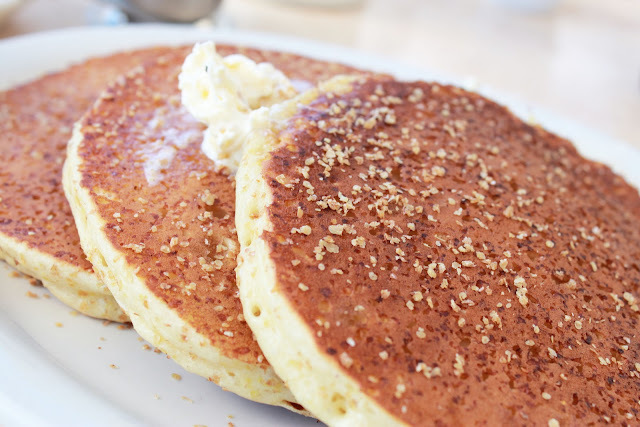 Wheat Germ Pancakes, to be exact. EBG serves up your typical beach grill favorites (omelets, burgers, burritos), but the pancakes are actually amazing. Beyond tasty and semi-nutritional (wheat germ is healthy, right? ), it's the best way to start any west coast morning. 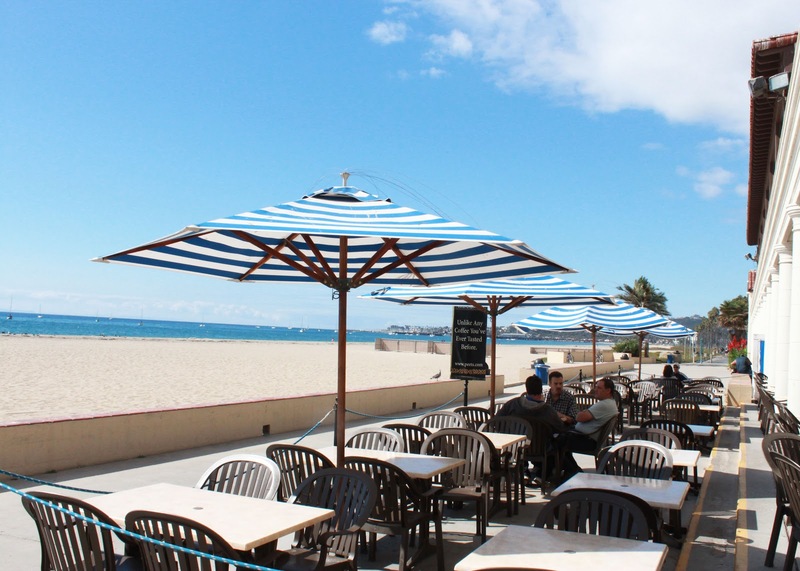 The striped umbrellas, the clear view to the islands, the smell of salt water, and the best pancakes you'll ever have, it's just so SoCal. I recommend going during the week, when apart from the occasional surfer or runner stopping by for his morning cup of coffee you'll most likely have the place to yourself. In a setting like this, it's impossible not to be relaxed.